In 1992, a group of six friends came up with an idea. That idea was to race their lawn tractors at Calithumpian Days in Thamesford, Ontario (near London) on Victoria Day weekend. That race was such a big hit the group came back the following year, and every year after that. Then, in 1999, something happened. 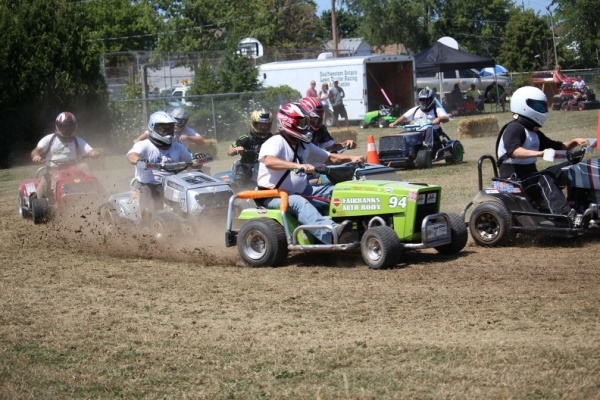 The sport of lawn tractor racing caught on!! 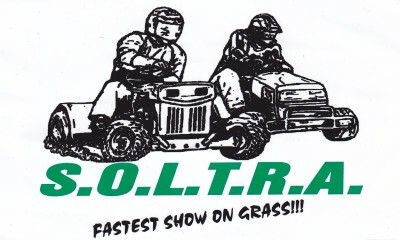 The numbers grew from six to seventeen almost instantly, and the Southwestern Ontario Lawn Tractor Racing Association (SOLTRA) was born calling Ingersoll, Ontario home. Now there are five classes of tractors: Junior (ages 5 to 9) Stock-Modified class (ages 10 and up), Super Stock (ages 12 and up), Modified class (ages 14 and up) and Super Modified class (ages 18 and up). 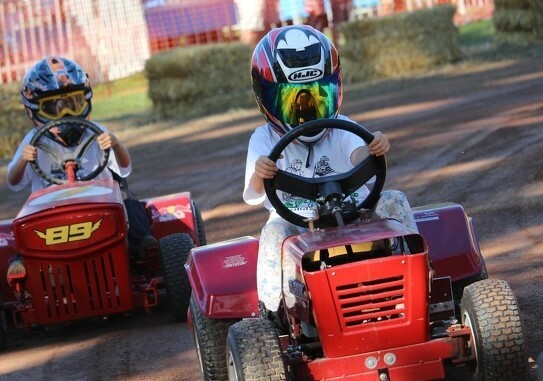 With a full set of racing rules, as well as rules for each class of tractor, anyone can become a lawn tractor racer! We are a Not For Profit club that has races all over Southwestern Ontario. Our club helps to raise money in support of local charities like Parkinson's Society, Ingersoll Big Brothers and Big Sisters and the Lakeshore Community Support Centre (Food Pantry). SOLTRA has even raced indoors. Twice with the "Outlaws of Motorsports" at Copps Coliseum in Hamilton, once at Skydome in Toronto with the "United States Hot Rod Association" and with Chris Arel Motorsports in Ottawa at the Corel Centre. Once at the WFCU Center in Windsor. Our Special Events Crew "Turf Tearing Racing" works regularily with Chris Arel Motorsports and travels throughout Ontario and Quebec. In 2003 SOLTRA was asked to help in the filming of a movie called The Prince & Me with Julia Stiles and Luke Mably. Rent the DVD and watch for the lawnmower race in the movie and then check out the special features for a segment titled "The Lawnmower Race of The Prince & Me." You can find us at a fair near you. So be sure to check our schedule, and bring the family out to see us. We promise you won't be disappointed.